Recently I went to see my daughter play the piano. She attends a music school called Tritó, one of the many small academies subordinate to the Municipal Conservatory of Music of Barcelona. Twice a year, students are supposed to play in front of an audience and seniors are sincerely worth listening to. In the picture, you can realize how near my chair was from the musicians, so close, these two cellos wouldn't fit completely in my viewfinder. 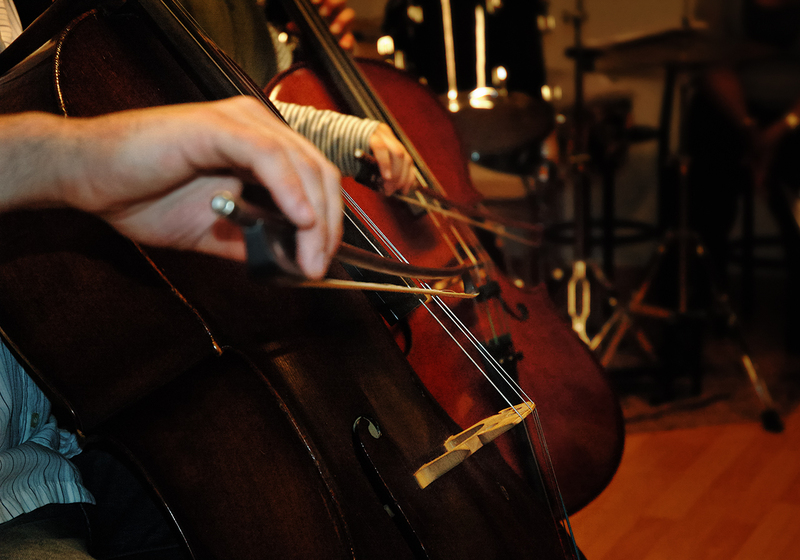 Not that you haven't seen a cello before but it was curious to notice how aesthetic it is when both hands catch up in a similar position, both bows being parallel and all. The cello duet, made up of teacher and student, did quite well and we enjoyed some classical moment in an almost intimate atmosphere. To add some mood to the post, here is a cello video I came across on YouTube: Bach Cello Suite No1 i-Prelude.